We all make it a point to make out living space up to our taste. So, when it comes to its security we need to make sure that we go for nothing less than the best. Break-ins and unfortunate robberies can easily be prevented if we just start being a little more vigilant about our surroundings. Z-wave door and window sensors are here to make the home security process totally hassle-free for you. All you need to do is attach them to the most common and obvious entry points to your home. And you will get instant alerts whenever an unsolicited entry attempt is being made. 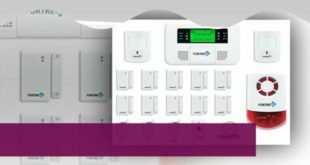 Why get a Z-Wave Door Sensor? 1 Why get a Z-Wave Door Sensor? There are a million reasons to do so. 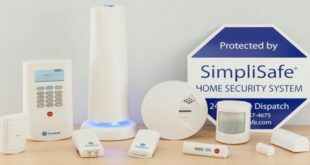 The prime reason being that you will get a reliable and competent partner to share the home security responsibilities with that can be alert even when you are busy with other important tasks. You also get the latest in technology that makes you sleep with total mental peace and forget all your worries. The ideal Z-wave door/window sensors need to have three primes features – high compatibility, discrete build, easy connectivity and long battery life. If your sensor of choice has all these features then you don’t need to look any further. You can buy it already and get started on the installation process. Technology keeps on progressing at a lightning pace. So make sure that the sensor you end up going with will be able to keep up with the technological upgrades that the market is about to experience in near future. Now, you surely might want to know more about the top door/window sensors present in the market. If so then read on to get informed about the best that the home automation market has to offer. Get the wide range of colors to choose from while purchasing the Fibaro Door/Window sensor. Out of the available seven colors, you can pick the one that suits your home interiors the best. This way you would be able to maintain a consistency in the overall home decor them that is running through your home. Currently, it is the smallest unit of its kind available in the marketplace. Being this compact makes it possible for you to place it anywhere without the fear of it being detected. Comes with the features that allow it to run pre-programmed scenarios for that added security cover. Can easily sense the opening/closing of any door or window present at different corners of your home including the garage door. Pair it up with the discrete DS18B20 for the input process of the temperature sensor. Get timely mobile notifications for a robust home security shield round the clock. You might find the body of the device to be a bit clunky for effortless use. Not compatible readily with any kind of temperature sensor. As one of the best window/door sensors in town, you might want to get the Fibaro sensors for your home right away. They are the best that money can buy for giving you that total peace of mind when you crave for it the most. The device comes with the Z-wave plus certification which makes you assured of its quality standards. Totally compatible with almost all the popular Z-wave gateways such as the Fibaro, Indigo 7, HomeSeer, Vera, and SmartThings. The battery is included along with the package which comes with a guarantee of over a year. The sensor is battery powered which frees you from the hassle of mounting it near a power outlet. Unassuming design of this gadget makes it possible to install it almost invisibly on your door frame. Has been designed in a way to keep complete track of when the doors in your home are closed or opened. You can also use it for outdoor use since it body seems to be completely weatherproof even in case of rough weather conditions. Can also be installed backward in a steel entry door for making your home security foolproof from wall to wall. Installation process could not be any simpler since you get a very helpful manual to guide you through the process. Quite bigger than what the buyers had in mind for the role of their window/door sensors. Body is cheaply made which might give up if you are not able to configure it properly during the installation process. This door sensor is for all those savvy residents who are looking for the perfect addition to their amazing smart home. You get to enjoy the durable and remarkable performance of this sensor year after year without facing any big issue during this time. You get both white and brown cases for making this sensor more conforming to your home design. Being compatible with any kind of Z-wave system makes it even more suitable for your tech-savvy smart home. Remotely monitor windows and doors with this sensor throughout the day. Stay in control of your home and everything going on within it thanks to this active and highly sensitive sensor. Use it to see if all the entry points are closed before your sleep so that you don’t need to drag yourself out of your be to manually do so. Nexia alerts you when the windows and doors of your home have been opened without your knowledge. Change the temperature of your home with the help of Nexia when your home has few entry points open. Check the security status of your home through the mobile app or your very own Nexia account. Add few more sensors in a network from along with this sensor to keep your home safe in every condition. Few customers are facing the problem of making it work according to their home situation. As opposed to what is being marketed, it is not compatible with all the popular hubs present in the market at present. Go for this sensor when you are looking for the one that connects easily with all the latest smart home automation appliances. Being easy on the eyes further makes it perfect for your home such that it does not stick out as an eyesore in your otherwise gorgeous home. Compatible with most of the top rated home security hubs to offer you maximum compatibility. The installation has been made extremely easy with the help of easy to pull battery tab. Battery life of up to five years makes sure that you have a smooth experience with this specific appliance. You will also get both white and brown case along with this sensor to give you options no matter where you end up mounting it. Tamper sensing makes the overall design of this machine quite durable so that you don’t need to worry about replacing it anytime soon. Rare Earth Magnets have been supplied with its interior design to make suitable for all latest window and door types. This setting allows for the desirable 5/8 inch gap to make it perfect according to your home design. Fully compatible with the very famous Vera and all of its latest versions as well as updates. Presence of terminals at its ends makes it quite easy to connect it with various door/window frames. Installation process might get a bit tricky if you are new to such types of gadgets. The price could have been a bit lower to make it accessible to everyone who might be looking for a similar sensor. Till now, the customer response has been quite encouraging for this particular model. Hence, you might want to network it in your smart home and enjoy the latest that the home automation domain has to offer. When triggered, this sensor can also send signals to other devices present in the network. This network-wide communication will allow the initiation of pre-programmed scenes which is most appropriate for the current situation. You will find these sensors compatible with your current hub almost instantly since that is how they have been designed. It comes with a range of additional items that you might need for the installation process. Mounting screws, CR123A battery and adhesive tape are few such items that you will surely need when you are installing at a certain location. It will work just fine with Piper and other similar Z-wave hubs that you might be using at your place. Also reports the battery charge levels so that you can recharge it right on time without risking your home safety. Batteries being provided along with it have a very good lifespan to make things even simpler for you. Enjoy a fuss-free window/door sensor that will notify you right in time without wasting even a second. Might find it hard to disconnect it from the hub with which it has originally been connected. A bit bulky as compared to other sleeker models that glide just right in at the required location. Make Monoprice sensors your very new home security partner considering its numerous benefits listed above. You get a durable and smart device without breaking your bank and all your friends are already lining up to get one for their homes! Quite a nominal operation gap of just 30mm makes it most suitable for your current home. Massive operation range of well over 590 feet gives you a good coverage range no matter how big your house might be. During operation, the power consumption is quite low which further adds years to the battery. Battery type 3V CR250 has been installed on this device to make it perfect for your present-day uninterrupted security requirements. Weighs just under 1.6 ounces that makes it even easier to handle it throughout its lifespan. Gives its best performance with the VeraPlus and other similar Z-wave house hubs. Will never face any pairing issues as long as you are using this highly compatible sensor. Has been built in a way to give a good service for a good amount of time for your entire home. Price could not have been better thus making its personal favorite of all classes of society. In some cases, the battery drains a lot quicker than one would expect. You might get a used product in some case so be careful about the place from where you end up ordering it. With the Everspring door/window sensor, you will never face any more security-related troubles. Right from the installation to ultimate long-term use, you will never find it problematic to use it according to your home requirements. Enjoy the benefits of the DIY installation process with this easy-to-install sensor. You can install this sensor with the help of just a few screws and double stick tape. Prevent any undesirable tempering with the product with the help of its ‘tamper prevention security trigger’. Make the most of full 2 years of the battery life with this reasonably priced appliance. The communicating Z-Wave RF range for this sensor is a whopping 300 foot. Signals to as much as 6 other devices when it loses the connection to the main hub. Such precautionary features make sure that your home security will never be in danger no matter what. This version is way more compact than the original release to make it perfect for all the nooks and crannies of your home. Not just doors or windows, you can install this sensor on any place around your home that can be opened or closed. Some customers are complaining that this sensor is quite unreliable when it comes to home security. People are complaining that it dies out well within a year of usage. Go for this sensor when you want a good security net throughout your home. You can use this sensor for a variety of purposes and that just adds to the overall functionality of this device. They come as the ultra-thin strips measuring not over a mere 3 mm. Easily mount them in between the door/window and their respective frames. This is a certified Z-wave plus product which makes it eligible to be a part of your smart home network. Battery lasts for over 10 years that make it a smart choice when it comes to smart home automation upgrades. Adhesive backing required to install it at the required position will be present within the package. The auto-include feature will make it extremely easy for you to add this device to your smart home. They use a magnetic sensor to detect if the door/window in question is open or closed. Alerts you immediately through the suitable medium about any possible intrusion when you are unaware of it. Perfect for both indoor and outdoor environment such that you don’t have to select another model for every single purpose. Discharges too soon after getting it started once for the required use. Not able to function properly when attached to different doors and windows of the home. These strips have been designed to fine tune the flaws that preceded this model. Hence, you might not have much to complain after you start using these for your own home. The Z-Wave Door and Window Sensor with Nexia is undoubtedly the best door/window sensor. There are plenty of reasons that make it the best for your upcoming home renovation but the most important one is that it gives you the full security assurance without making you compromise on the overall aesthetic appeal. Hope you find this blog extremely helpful and worth your time when you finally read it. We are always happy to take suggestions and make this space more useful for you. So let us know how we can do so for you in the comments section below. Previous Lifx vs Hue: Which is the best smart lighting system? 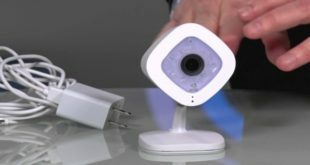 Next Arlo vs Arlo Pro: Which is Better For Your Home?